Reclaimed wood is often admired for its rustic quality and what better season is there to show off your beautiful home furniture than the Christmas holidays? Bringing a natural touch to your festive décor for little cost, your spare wood can be used to create stunning pieces for display during the Christmas period. From fireplaces to centrepieces to advent calendars, we’ve got a selection to brighten up any setting with a festive twist. Wood is perfect for adapting to new decorative and purposes and what’s more, you don’t need to be an expert to make the most of these great Christmas projects! 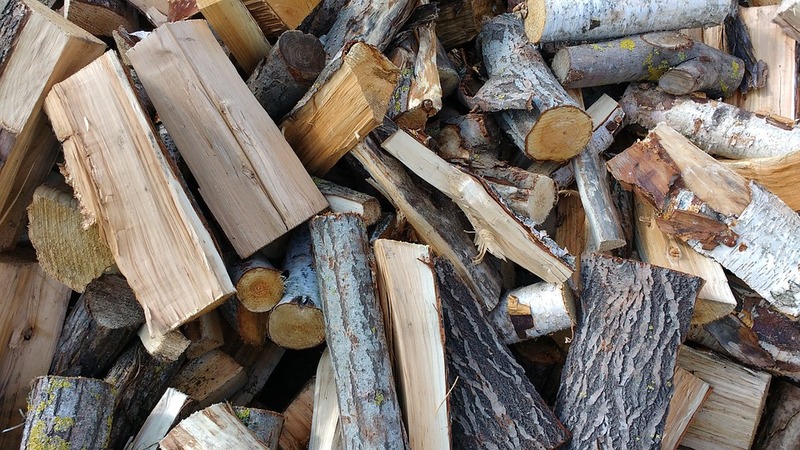 Ensure your Christmas is wonderfully nostalgic with a warm hearth filled with reclaimed wood logs. Perfect for gathering the family around, you can even create a glowing fireplace without having to light a fire by using an array of lights. You’re likely to have many friends and family round for dinner in the build up to Christmas, so why not make your table display extra special with a beautiful wooden centrepiece? All you need is a few small logs, some paint if you desire and then add some lights for the final touch. If you’re looking to use up those small pieces of wood you may have lying around, you could create some adorable Christmas decorations and decorate them with paint and a piece of string. Not only will these look beautifully natural on the tree, children will love getting stuck into an arty project! Burn your favourite festive scents in rustic wooden candle holders to make your Christmas decoration stand out from the rest. Simply make small Christmas tree shaped containers for holding your candles. Tell Santa where he needs to stop with attractive Christmas garden pillars which can be decorated with your own choice of wording. Reclaimed wood is great for painting on and it will also last for the festive season in the outdoors. Use circular slices of wood to produce your own Christmas wreath and decorate with holly, ivy, pine cones and ribbon. Perfect for displaying on your front door or inside the house. Ideal for those who enjoy a creative challenge, you can carve out a star shape from your reclaimed wood. Striking and symbolic, the star shape is the perfect choice of ornament for the Christmas season. Even if you’re not lucky enough to live in a winter wonderland, you can still have fun outdoors this festive season by creating a traditional wooden sleigh with leftover wood. 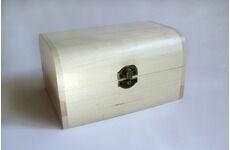 Alternatively, if you are more skilled with wood, you could create a more detailed piece for decorative purposes. Build a wooden advent calendar in combination with paper to start the countdown for Christmas. 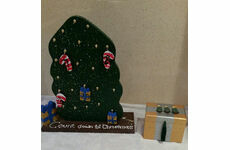 Simply make small wooden blocks for each day or craft your entire piece into a Christmas tree for a fun project. Greet guests at the door during the holiday season with reclaimed wood which is cut into letters for different words. You can also brush each letter with a different colour to add a rustic feel.